Bookings are now closed for this past event. Five sessions of phenomenal physics will be brought to you by the brightest lights in the field. From the big bang to electric racing cars, rock guitar to astronomy, meet the physicists who go above and beyond science as we know it. A special session on examination success will provide students with the tools to excel. Simon will tell the story behind one of the greatest questions in the history of humanity – where did the universe come from? Is the universe eternal or was it created? Is the Big Bang the answer? 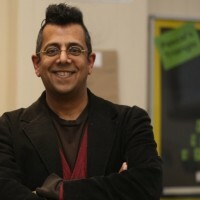 Simon is an author and broadcaster. His books include Fermat’s Last Theorem, The Code Book, The Big Bang, Trick or Treatment and most recently The Simpsons and Their Mathematical Secrets. In a mind-expanding and ear-stimulating session Mark will reveal how rock guitars make their distinctive sounds; how string vibrations might answer questions about the Big Bang; and, how the Large Hadron Collider (LHC) might let us peek into extra dimensions. 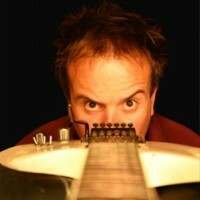 Dr Mark Lewney, the Rock Doctor, winner of the first ever FameLab competition and guitar physicist blows your ears with rock guitar and blows your mind with Superstring Theory. Join the electric revolution with Formula E racing teams this autumn, and discover the forces of physics at work that drive this incredible sport! 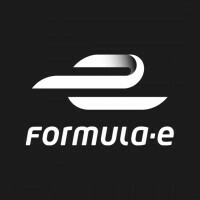 Here from the teams that drive Formula E to success! Discover the power of electricity and uncover the forces of physics at work to drive technological breakthroughs. We see only a tiny fraction of all there is in our possibly-infinite universe. Jen will look at the universe in different wavelengths across the electromagnetic spectrum, and explore some of the unsolved mysteries facing astrophysicists and cosmologists today. 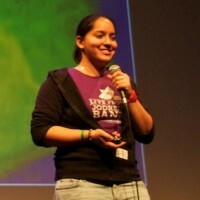 Jen Gupta is an astrophysicist who loves to talk about how awesome space is with anyone who will listen! Nic will show how weirdly powerful computers quantum computers will work, why you should care about them, and how they just might come into existence some day in the not-too-distant future. 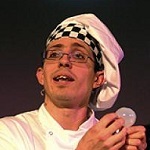 Nichas a PhD in Quantum Computing from Imperial College and is the master of explaining the very complex in brilliantly entertaining fashion.